We are celebrating a favorite recipe from Portugal. 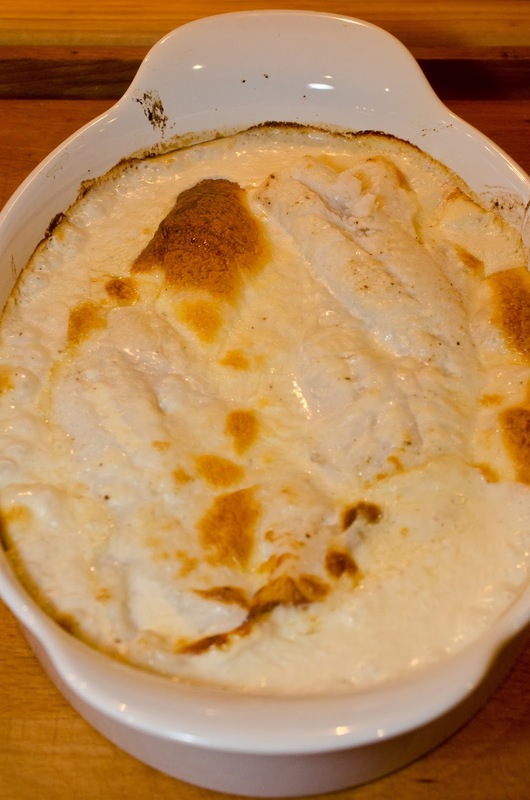 According to Wikipedia "Bacalhau com natas (literally "cod with cream") is a popular way of cooking salted cod (bacalhau) in Portugal. 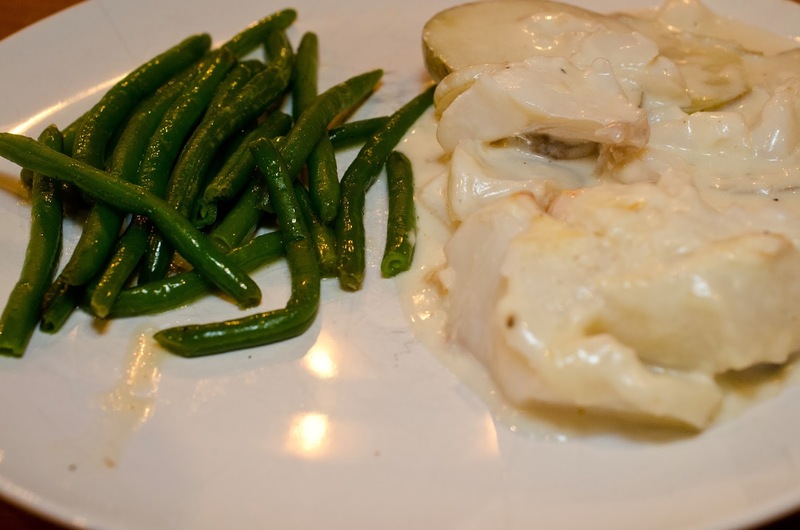 It is an oven-baked dish consisting of layers of bacalhau, onion, diced fried potato and cream. 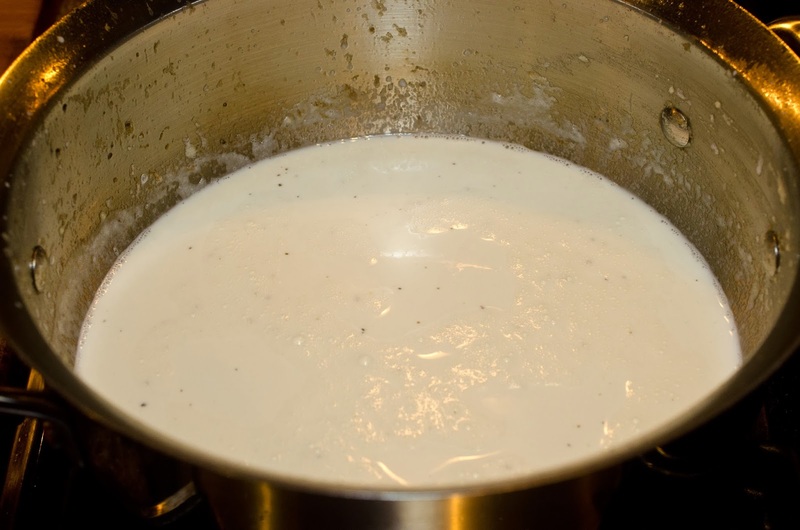 Using dairy products such as cream or cheese is not common in traditional Portuguese main courses, however the popularity of this dish—in households and restaurants—make it a classic. 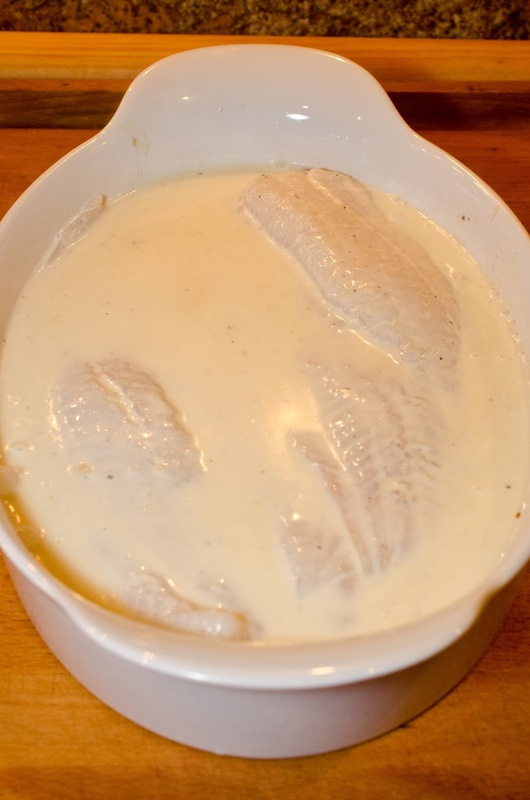 The origin of this dish is unclear, but a similar one using cod and cream was invented by chef João Ribeiro in the 1930s." The reference can be found Here. 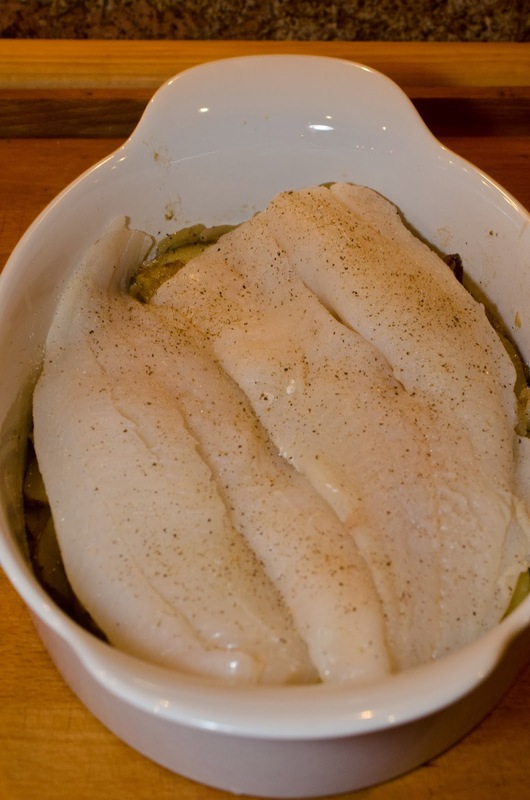 I used fresh cod for my recipe, supposedly this recipe used dried salted cod because it was more widely available than fresh. Bacalhau com Natas, not sure how to say this, but it was yummy. Clean potatoes and thinly slice. Peel onion, cut in half and thinly slice. 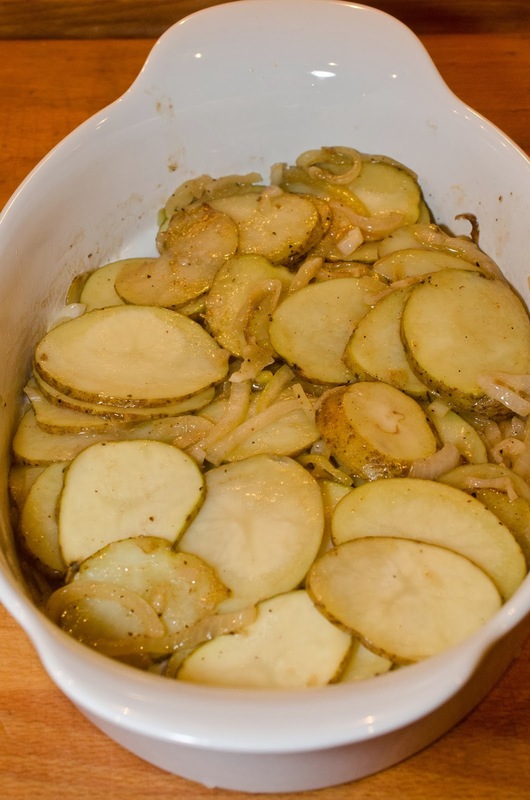 Place potatoes and onions in oven proof dish, 12 inch oval ceramic if you have one or 9x13 glass dish. 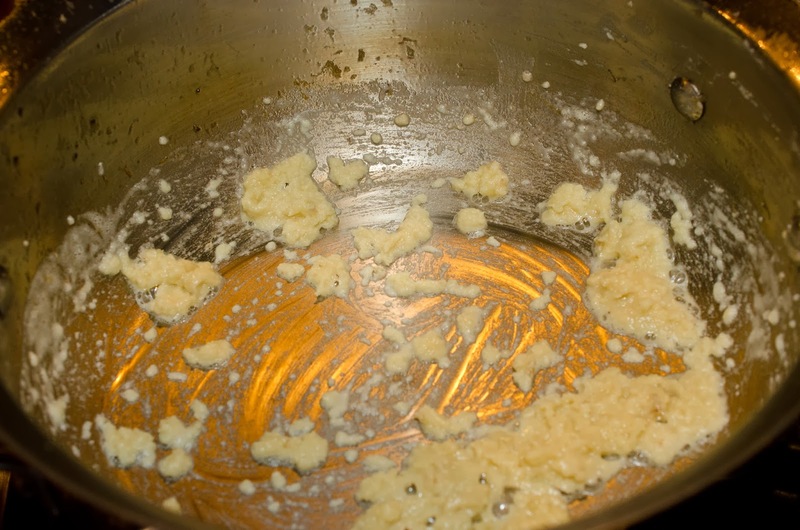 Melt remaining 3 tablespoons butter in pan that you just emptied potatoes and onions from. When butter stops foaming add flour and whisk. Cook flour for 3 minutes. Add milk, cream, salt, pepper, and whisk until thickened. 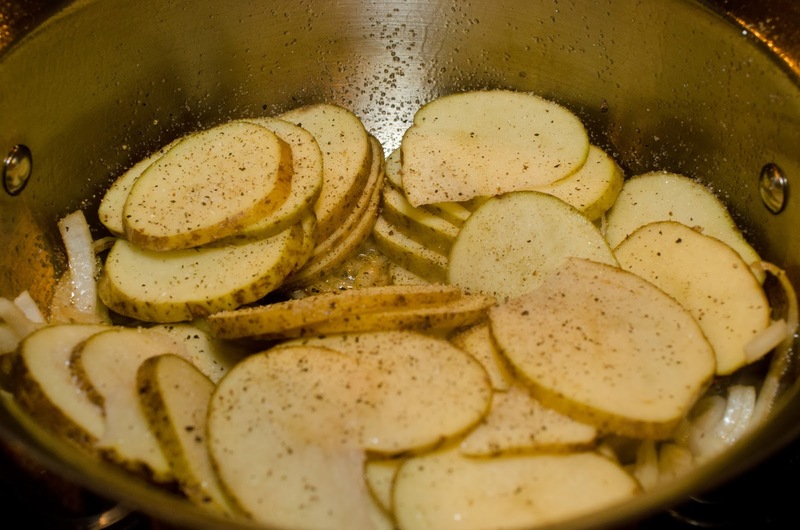 Place filets on potatoes, sprinkle salt and pepper on filets. 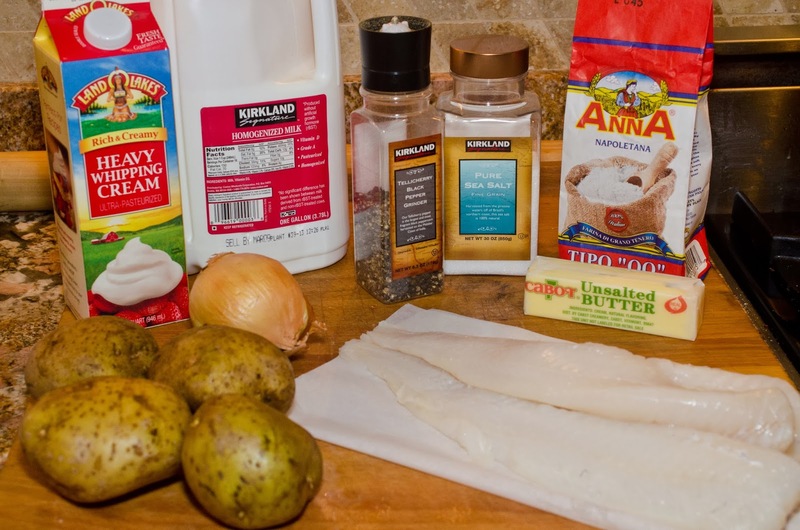 Pour cream over fish and potatoes. Bake for 15-20 minutes, until golden and bubbly. 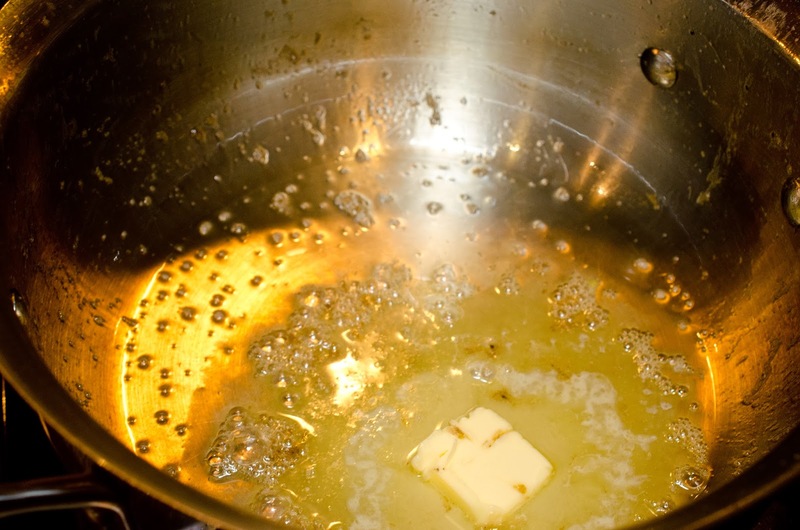 Preheat 10 inch skillet, add 3 tablespoons butter and 3 tablespoons olive oil. Sauté onions and potatoes until tender.